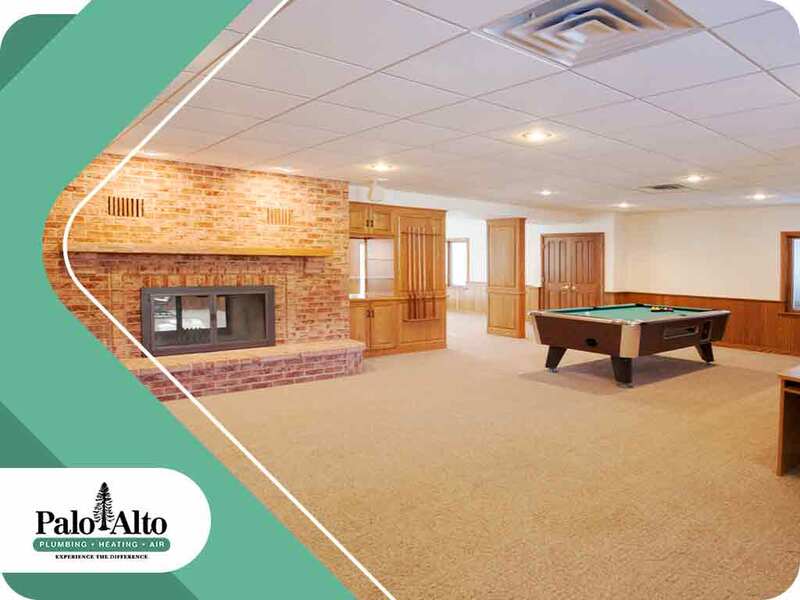 Our specialists at Palo Alto are more than happy to help keep your fixtures intact while your basement gets a much-needed makeover. However, there are a few plumbing, heating and air conditioning considerations you need to keep in mind when it comes to basements. Here are a few of our best tips. For whole-home HVAC systems, the main components such as the furnace itself along with the air handlers and some of the ductwork are located in the basement. Remember to include these parts when drawing out the floor plans. Bear in mind that these components must be kept accessible even if you decide to hide them away. Consider building a small enclosure with an operable door to house your unit, or if space permits, give it its own utility room. Your plumbing and heating systems can produce potentially harmful by-products as a result of their normal operation. For example, furnaces and boilers will continuously generate carbon monoxide, while your pipes will also be transporting grey and black water waste from other parts of the home. Ensure adherence to strict local codes when it comes to dealing with these components, as their malfunction can lead to a disastrous outcome. At Palo Alto, we’re your leading provider of plumbing, heating and air conditioning products and services. Give us a call at (650) 856-3400 or fill out our online contact form to schedule a consultation and request a free estimate today. We serve homeowners in Palo Alto as well as nearby areas.